One thing, or an accumulated lot of things could be a mood killer. For me, the first strike was politely having to deal with an increasingly negative fella the whole way leading up to meeting up with my mate for the evening, and the second, after being excited over AKA Teppan, reminiscing me strongly of Pepper Lunch in Sydney, I was pondering for so long over the menu and finally settling, I was told that they were not serving ox tongue tonight. GREAT. But along with multiple other things that I should not name - inside my head, this was the reaction of Drama-queen Alice: WELL, WE MIGHT AS WELL ALL GO HOME NOW. It was a similar feeling to me leaving my Camera... at home - that drastic, huh. 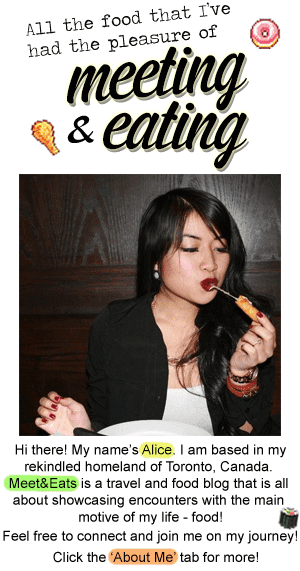 But, I stuck out and made did... And, I ended up with a combination that I even regret up to now (lol) - my relationship with food is deep. I should have ordered that hotpot set, I curse the skies to this date. 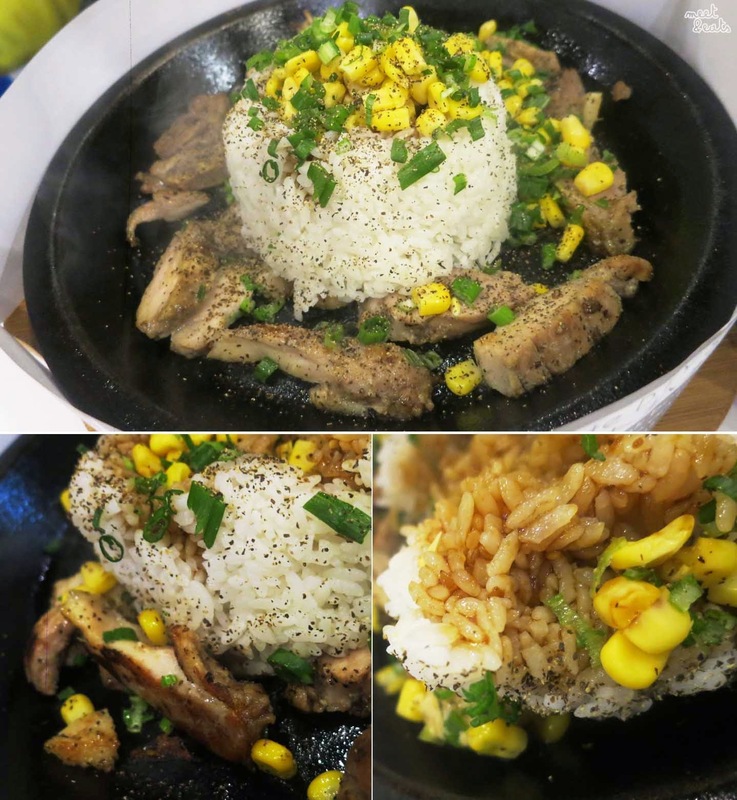 - There are no other surprises in the Yaki Rice at AKA Teppan - only Corn and Scallions, what a treat. 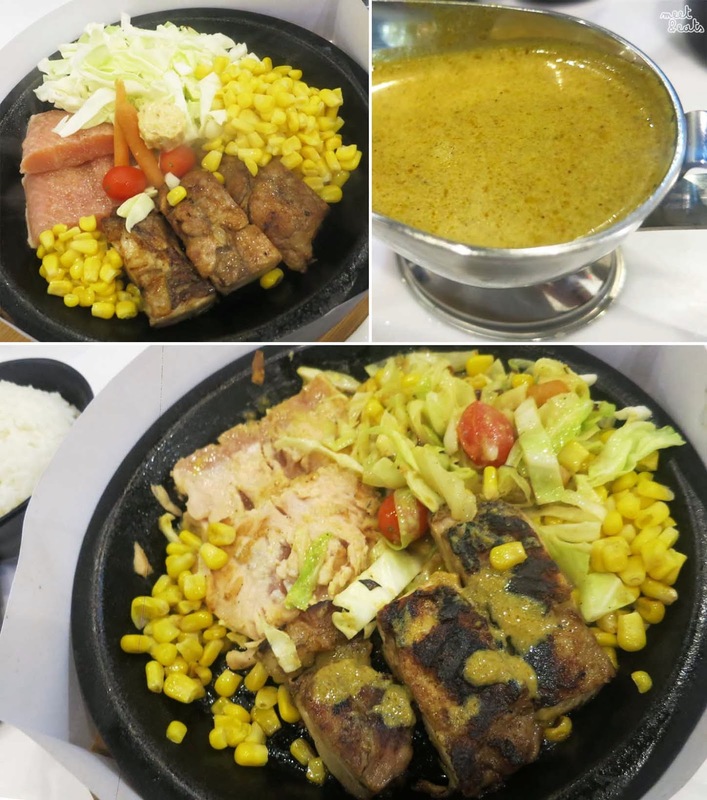 AKA Teppan serves up Hot Pot, Rice or Pasta, along with options of additional toppings such as Cheese, Egg, Mushrooms, Garlic, Corn and Scallions - and for their Steak sets, they have a range of toppings to choose from: Pepper, Sweet Onion, Osaka Barbeque and Japanese Curry. Real good! The generous sprinkles of Seaweed and sweet Soy Sauce really made up the dish, a lot of flavour, a great lunch-time meal. I ordered the Teppan Steak, since I thought that it would come with a sunny side up egg. It didn't. I was drowning in the disappointment by this point. The Atlantic Salmon brought along no flavours, but the Chicken was great though. It was my bad for the choice in Japanese Curry sauce, it didn't do anything for the whole meal at all. Cabbage was plain, it was painful eating it with the same, painful salmon. 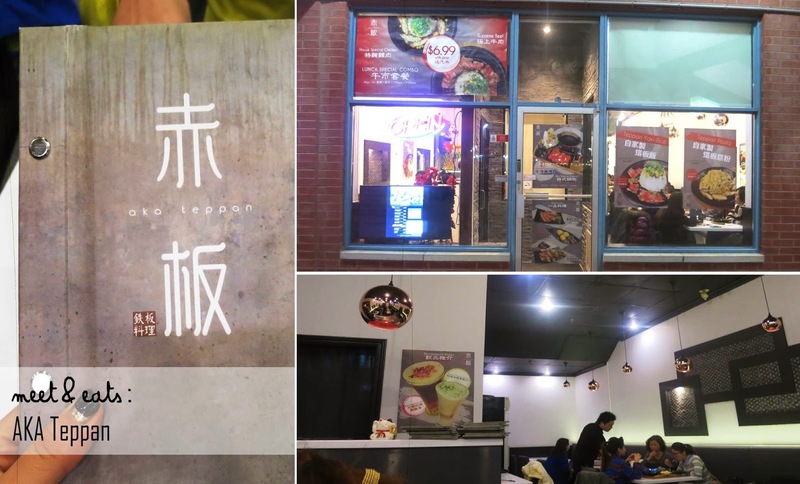 This was my buddy's second time here, and, I guess, it's a thing that their service isn't ever on par. They do not bring their dishes at the same time. I see this as a great place for lunch, since they have a few specials at this time. I still want Ox Tongue. AKA Teppan, you are not my dream Pepper Lunch.